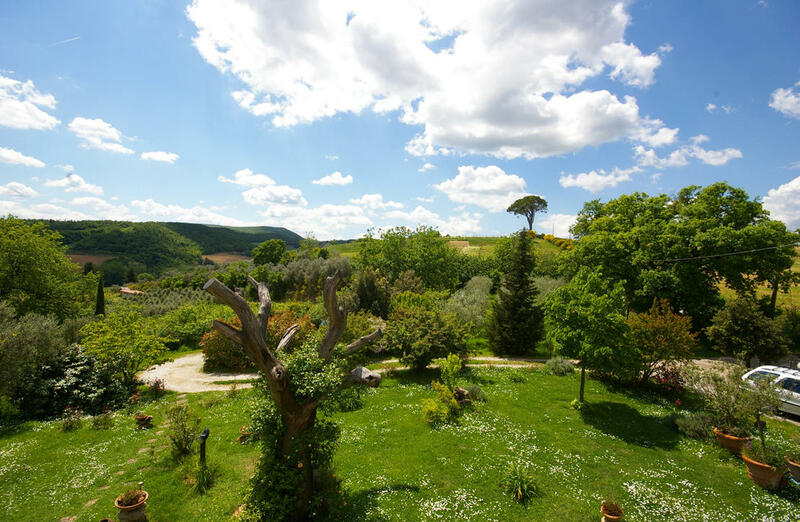 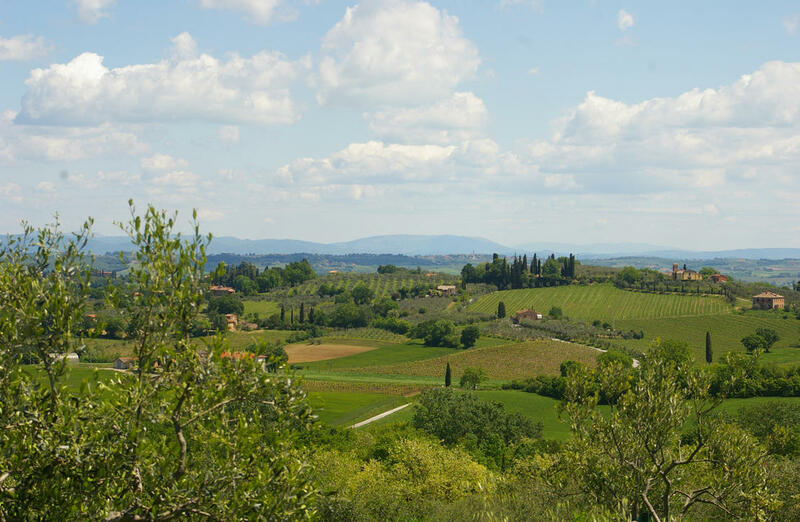 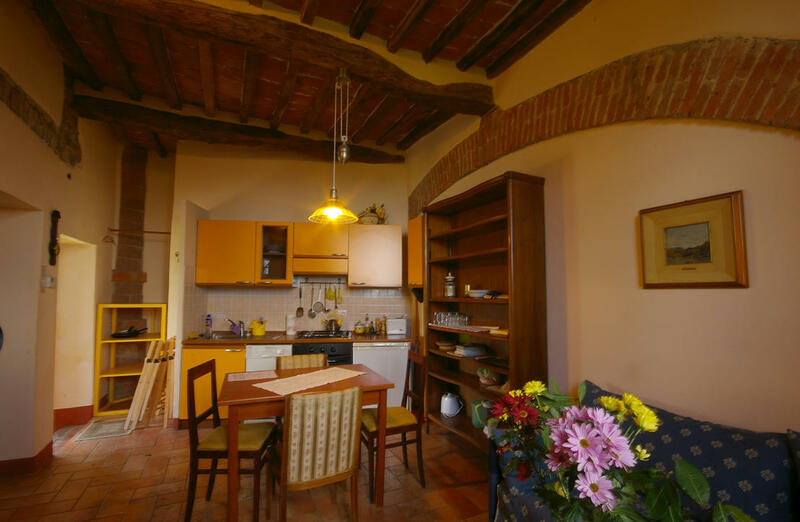 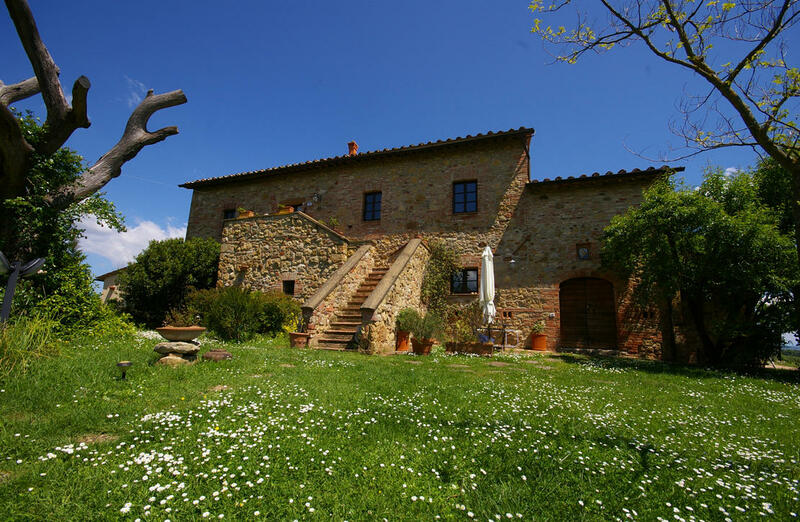 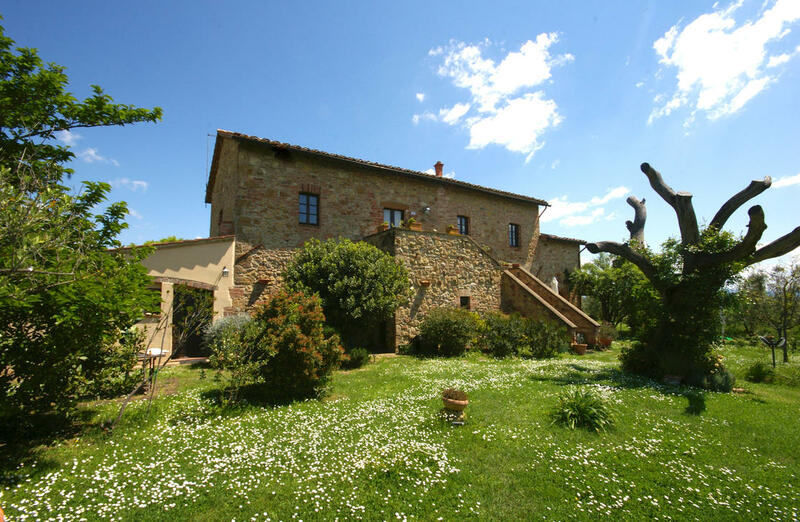 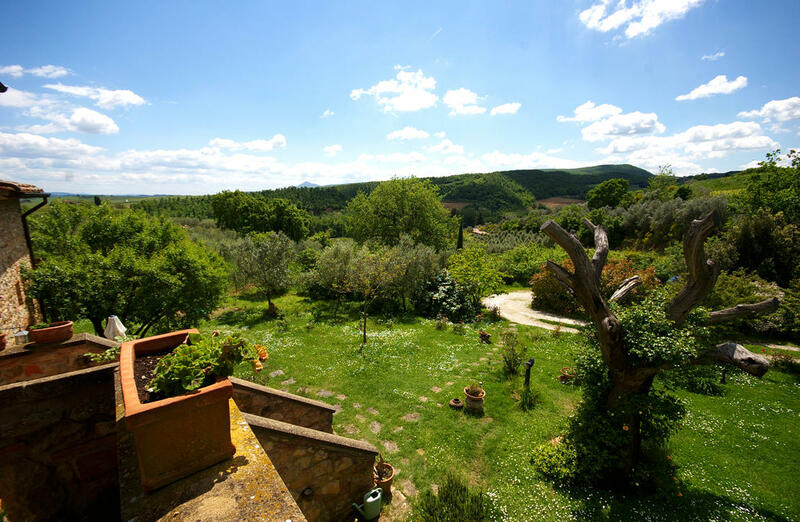 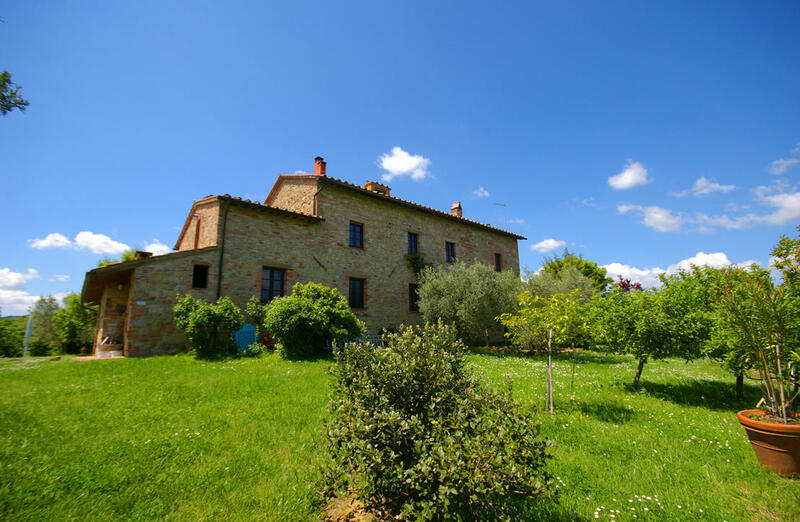 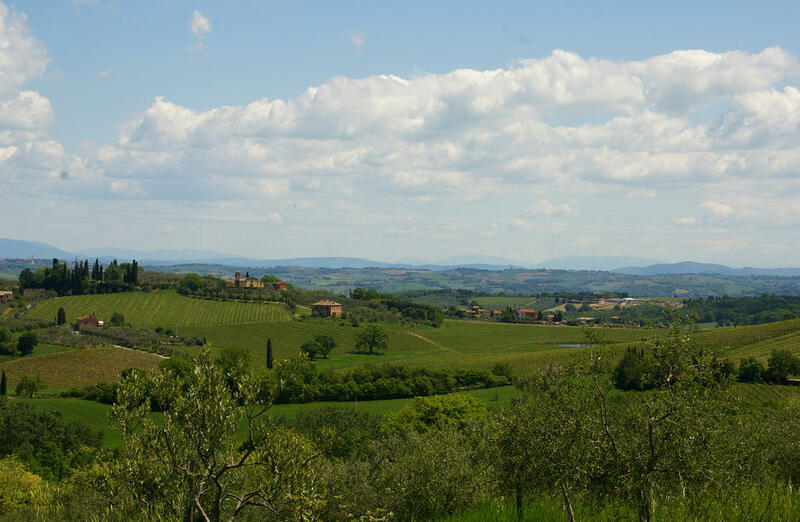 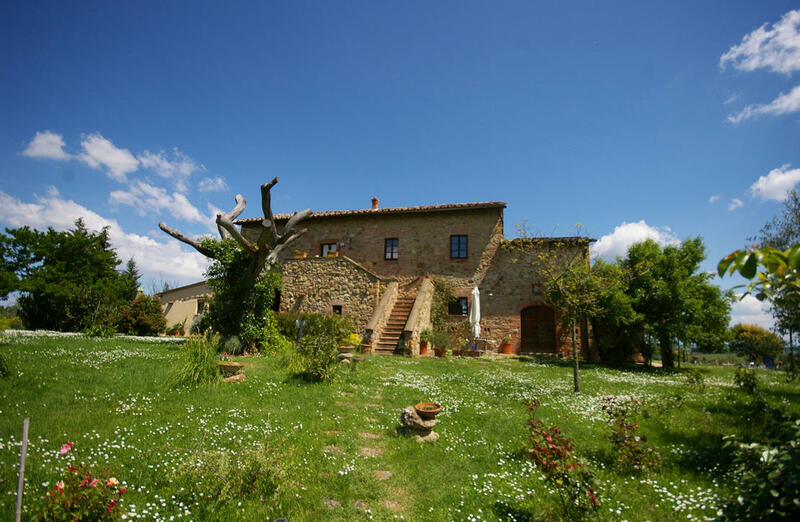 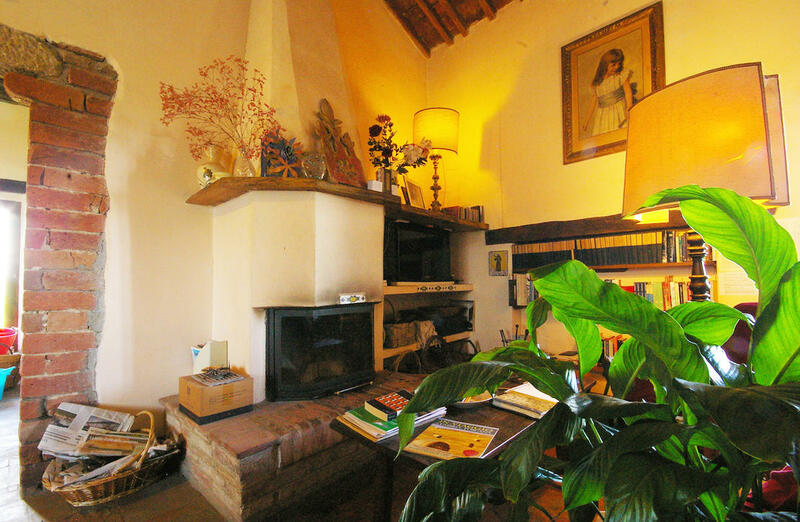 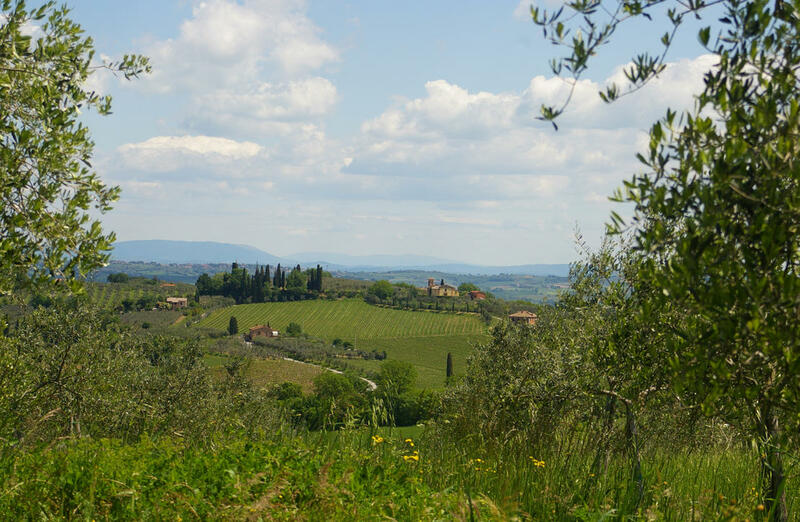 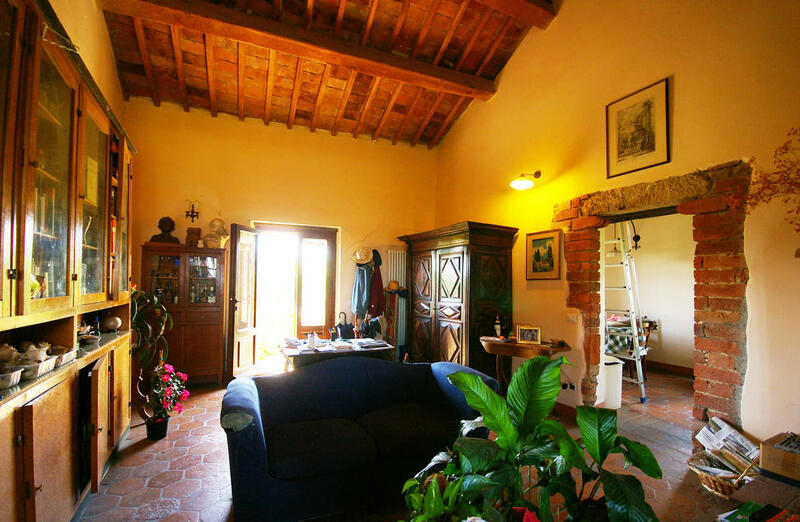 Just a few kilometres from the beautiful old town of Montepulciano, we are pleased to offer for sale this prestigious country home. 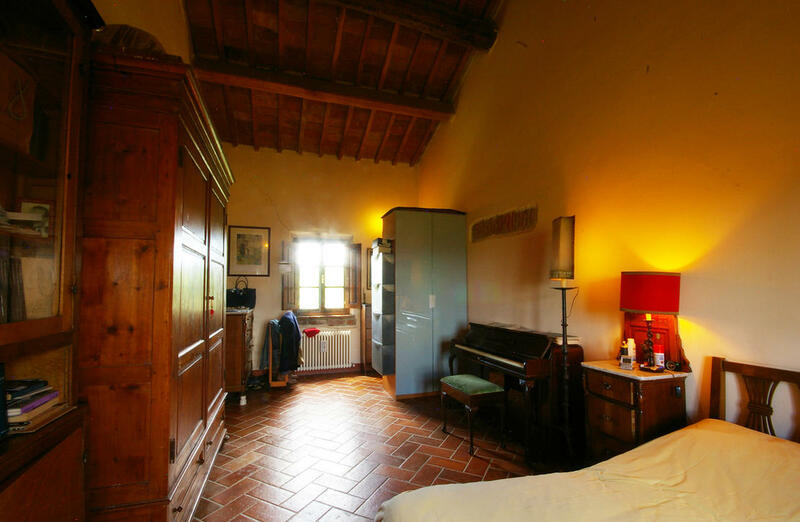 Enjoying a private and peaceful location, the building dates back to before 19th Century and has been carefully and tastefully restored. 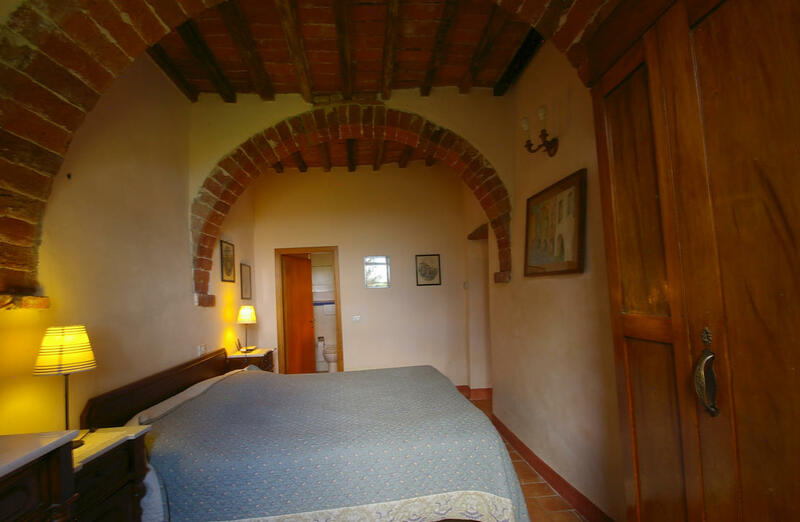 With terracotta flooring and wooden beams throughout, the property retains its original and charming look, whilst being modernised to accomodate a 21st Century family (solar panels, high tech water and electricity systems, phyto lake). 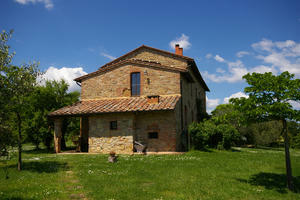 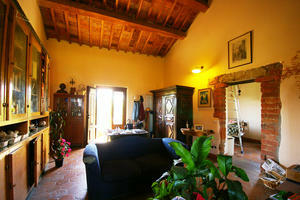 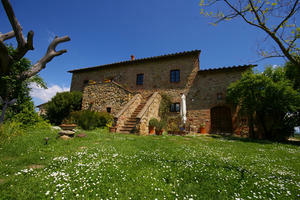 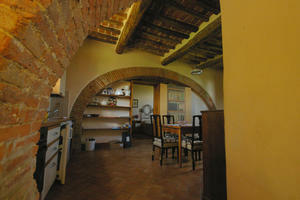 The property is 300 sqm over two floors. The ground floor, currently used as tourist accomodation, includes three apartments, each with living area, double bedroom and bathroom. One apartment faces onto the portico infront of the swimming pool which offers amazing views of the valley. 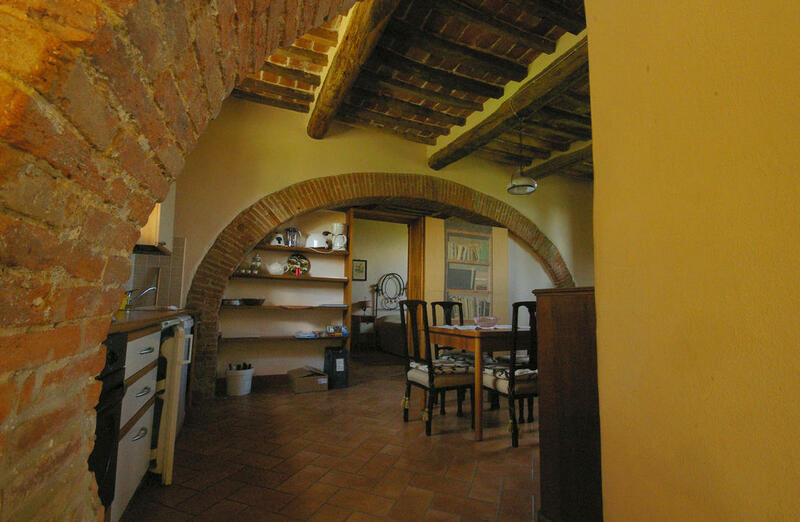 Completing the ground floor is a large cantina, called Cantinello, equipped with a spacious kitchen (ideal for entertaining) and a laundry room. 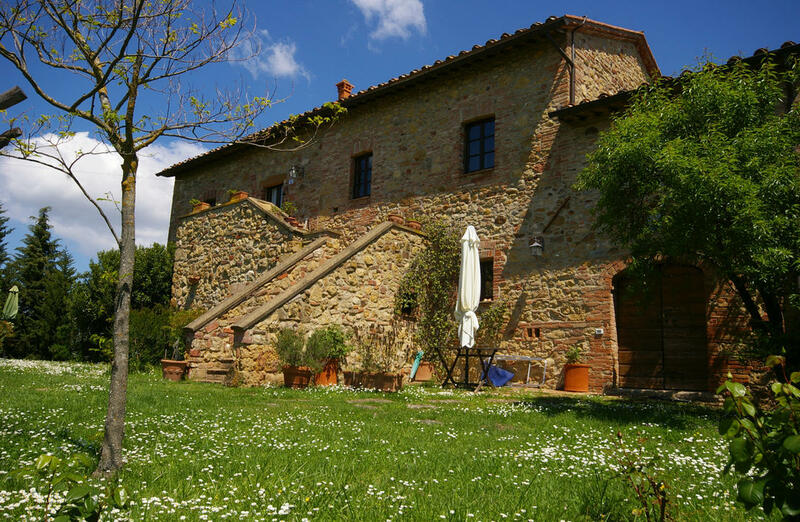 A fascinating stone staircase leads up to the first floor where there are further stunning views from the loggia, leading to four rooms composed of a large living area with hearth, spacious kitchen, store room, studio with mezzanine, bathroom and large double bedroom. 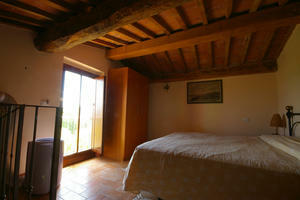 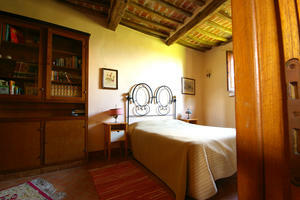 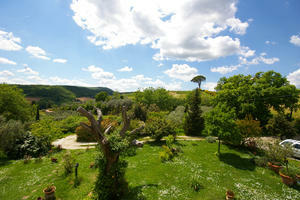 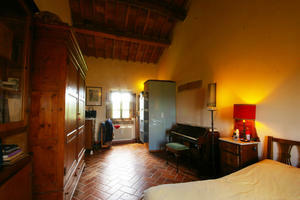 Every room is light and airy and has a great view of the surrounding countryside. 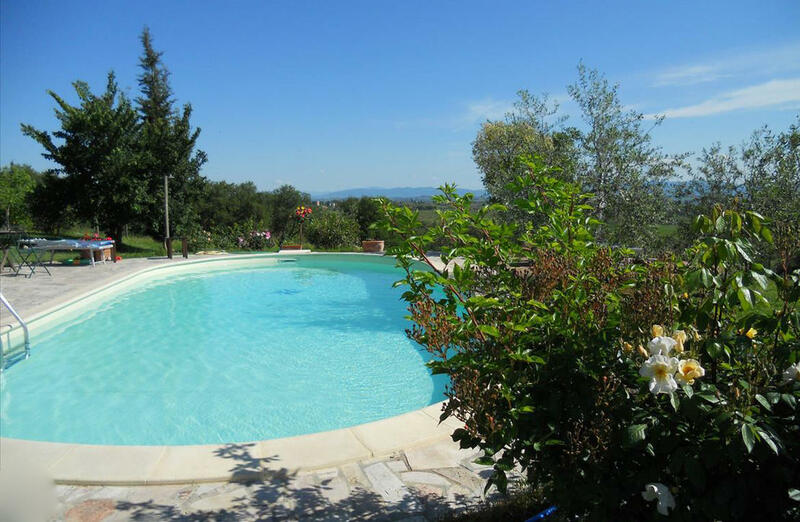 Externally, there is a well manicured garden fitted with automatic irrigation system, BBQ area and large swimming pool, totalling 1.200sqm. 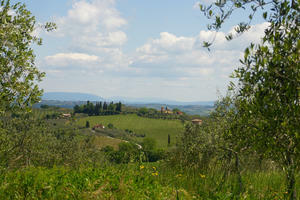 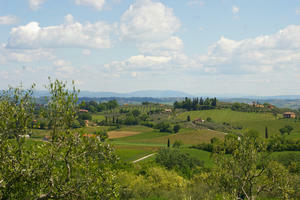 7.5Ha of land contain olive groves (3Ha in production), vineyards and arable land. A unique opportunity to purchase an elegant country home in a fantastic and sought- after position.